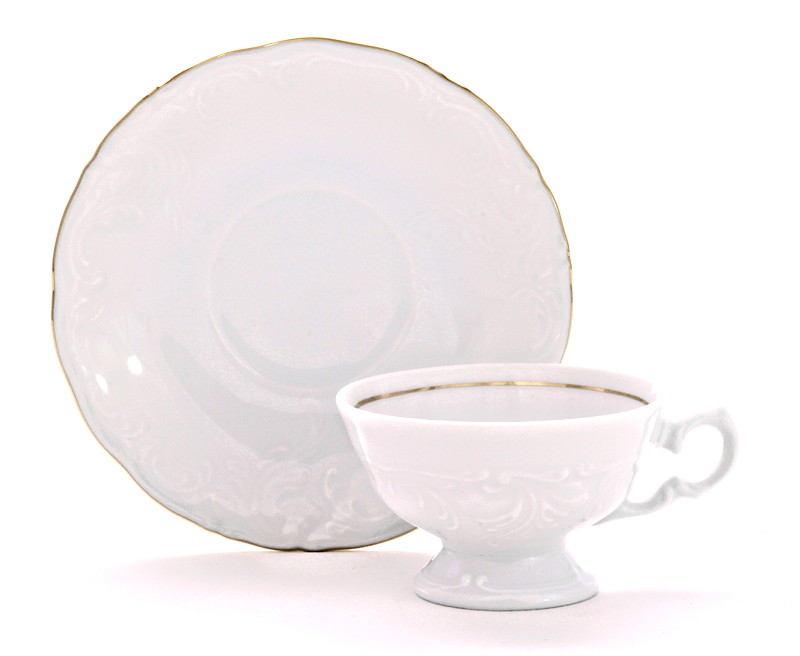 Fine china teacup and saucer for children made in Poland by Wawel. 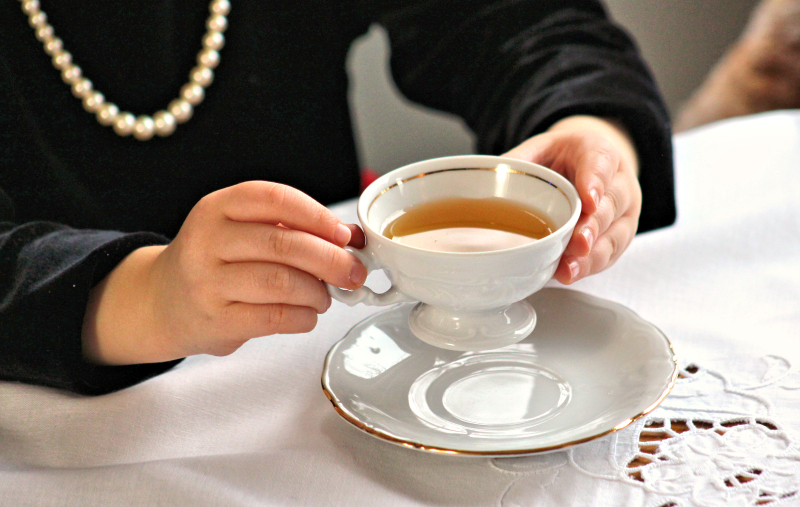 Your little tea guests will feel like ladies and gentlemen drinking from these delicate footed teacups. Holds about three ounces of tea. This is the same cup used in our Children's Tea Sets. Elegance pattern. Hand-painted with gold trim. 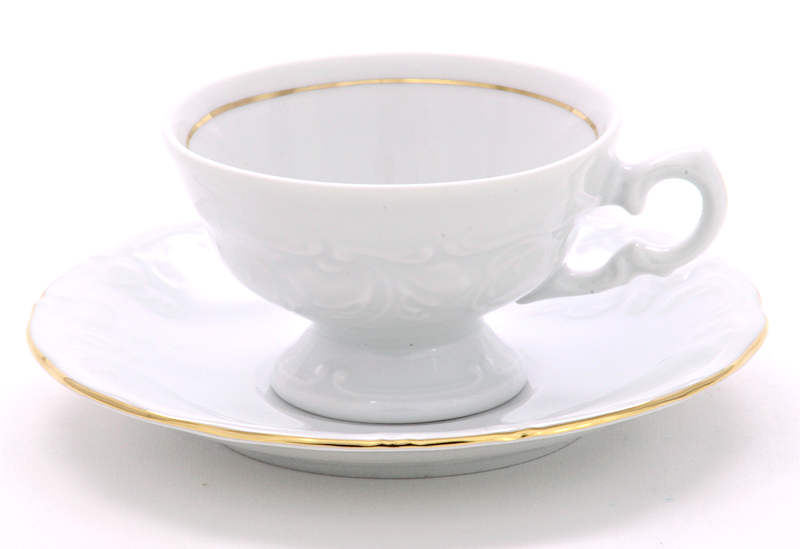 Elegance children's teacup. Real china, child-sized.